The story is about a boy called Auggie (10yrs) who has a deformed face. He is going to school for the first time and is scared. He does find new friends, but can he convince his new classmates he is just an ordinary kid? Rated: 5/5 - "It is a touching story, and I really liked the many poems in each section, because they MATCH the storyline as you read it. The cover is interesting (picture of a face with only one eye) - it makes you wonder what Auggie looks like.. which you find out through the storyline." Ella is a Flitterwig, part human part magical. She is starting Flitterwig school to learn how to use her Elven skills. But she is a Clearheart and can do magic that others can’t. She has special dewdrops that can control/speak to her. Her friend is kidnapped by an evil duke, who plans to invade her kingdom of Magus and control the special dewdrops. An adventure begins (with her Protector Charlie Snoppit) to find him and prove their innocence with the Queen. Rated: 5/5 - "I liked the book because I like magical things.It is an interesting book with lots of detail and description. It has tricky words like 'pollutification' (pollution), so I would recommend for 8+." Billionaire’s curse by Richard Newsome - reviewed by Alex G.
Gerald Wilkins is on summer holidays until he finds himself attending the funeral of an aunt he has never met. She is the richest woman in the world. Others get some teaspoons, a sign from a bedroom door, but he gets 20 billion pounds! He also gets a bundle of letters from his dead aunt, saying she was going to be murdered. Was she murdered? Who stole the world’s most valuable diamond? Gerard’s got a mystery to solve. He finds suspects along the way, but it seems he has everything wrong. Rated: 5/5 - "It's a complicated plot, but makes sense when you read it. I love knowing that something is going to happen but then find that the opposite happens.There are unexpected twists in the plot. Recommended for 9+, as the language is more complicated than the language in Clearheart, as they are not made-up words." The wishing chair can fly and grant wishes. It takes Molly, Peter and Chinky the pixie on adventures. Along the way Molly and Peter find their mother’s ring, a mouse, are given special tablets to make the chair and themselves small, and they meet The Snoogle, who has a duck head, dinosaur body and a fox tail. Rated 5/5 - "I like it because it is adventurous and mysterious." Point blanc by Anthony Horowitz - reviewed by Alex W.
This is the second in the Alex Rider series. He is a M16 spy, who is asked to infiltrate the Point Blanc Academy, a school for rebellious rich boys, after the 'accidental deaths' of two of the most powerful men in the world. He discovers students are being 'cloned'." Rated 5/5 - "I like all the Alex Rider series. I like 'action' and spy stories. I also recommend the Young Bond series by Charlie Higson." Billie is bored all the time. She has asked for a pet pony but her parents say no because her backyard is small. She finds a pet shop that has a sign saying "Last guinea pig". Perhaps she could do some jobs to get enough money to buy the guinea pig. However, sadly the guinea is sold by the time she goes back to the shop. Her dad surprises her by asking her to hold a box on the way home, and guess what, the guinea pig is in the box! Her dad had bought it. Rated 5/5 - "I like the way the story is sad and then happy. I really like the Billie Brown series - they are good if you want to read short stories." When the Thea Sisters' friend Bridget returns to Scotland because her castle is in danger of of being knocked down for an amusement park, the five mice offer to help. Bridget then goes missing and is found at a lighthouse. They need to find the will to stop the castle from being knocked down. They do and there is a happy ending. Rated 4/5 - "I liked the characters and the adventures along the way." Matilda Valentine is a lord's and lady’s daughter. She has a big sister Iris and they fight about EVERYTHING. They don’t see their parents much as they go to a lot of parties, so the nanny, cook and gardener look after them. After an argument Matilda hides Iris’s lucky penny in a lilac hedge, where she falls. 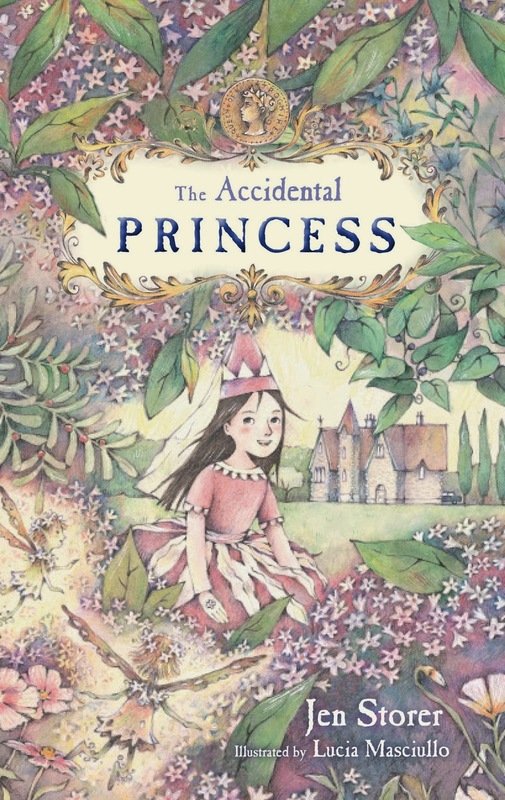 The adventure starts as she is mistaken for royalty by the pixies/fairies of the hedge. She is drawn into this world where evil threatens - along the way there are loyal pixies, nasty imps and other folk. Only Matilda can stop it. Rated 5/5 - "It was nerve racking! A really good book, not too magical, more humanlike"